Conditions still great on the mountain. We're expecting some cooler weather from Monday night, together with a heavy dump. The cold weather looks set to continue through the week with the odd snow shower. Why Escape 2 Bansko ? Mark and Alan have been helping visitors find the perfect accommodation, transfers, ski hire and tuition since 2005. 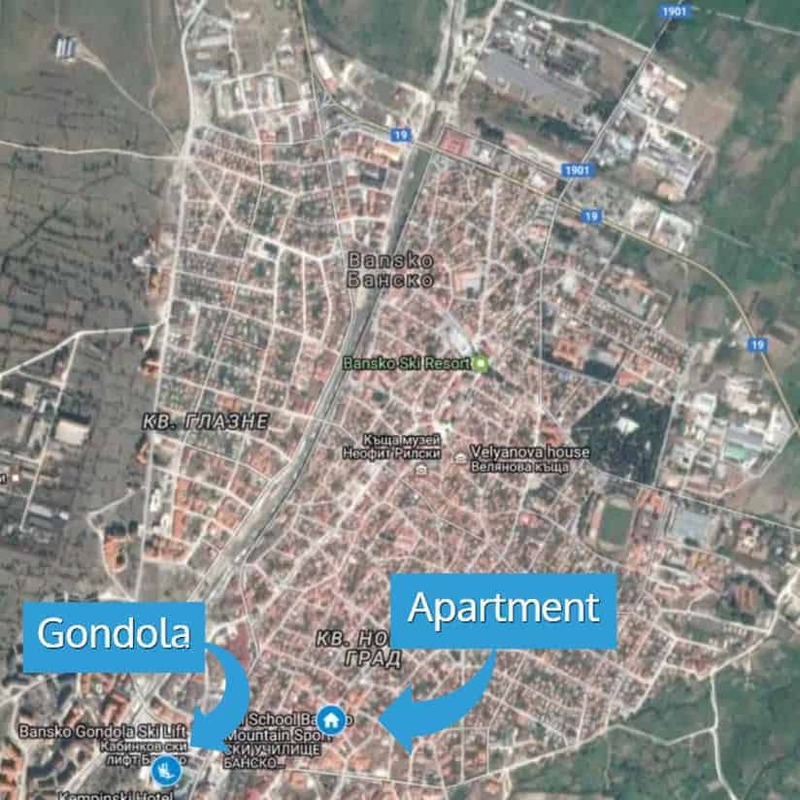 Located just 5 minutes walk from the gondola station and 10 minutes walk from the town square, our Bansko apartment is perfectly located for both enjoying the mountains and the nightlife. Don't spend hours online trying to plan your holiday. Stay with the experts and let us help you plan your trip. Bansko is Bulgaria's No.1 ski resort with over 75km of pistes, and new super-fast lifts ferrying skiers around the mountain. Located 2.5 hours from Sofia Airport and serviced from London, Dublin other UK airports, skiers can catch the early flight and be in town for lunch. Over the years we have made many friends in Bansko and have advised countless visitors on the best way to get there and where to hire skis and arrange lessons. Our good friend George runs Bansko's finest ski school and as a partner, he provides our guests with an exclusive 20% discount on all rentals and lessons. Escape 2 Bansko is a south-facing one bedroom apartment with views of the Pirin Mountains and gets the sun day long. Newly built, the Bansko apartment has two separate balconies, an open-plan living area, large hallway and bathroom with shower. Next door to the living room is the master bedroom with a double bed sleeping two people. Fully furnished with bedside tables, a dressing table and 3-door wardrobe. Large Double bed, bedside tables, triple wardrobe, dressing table with double doors leading to private balcony. Sleeping an additional two adults, the sofa bed in the living area converts to a double-bed. We work with the owners of four neighbouring apartments in the same building, so for larger parties of up 20 guests we can help you find accommodation and stay together. We've all been on holidays where we had to pay for bed linen and cleaning. Not here. Fresh bed linen and towels are provided and your apartment will receive a weekly clean.